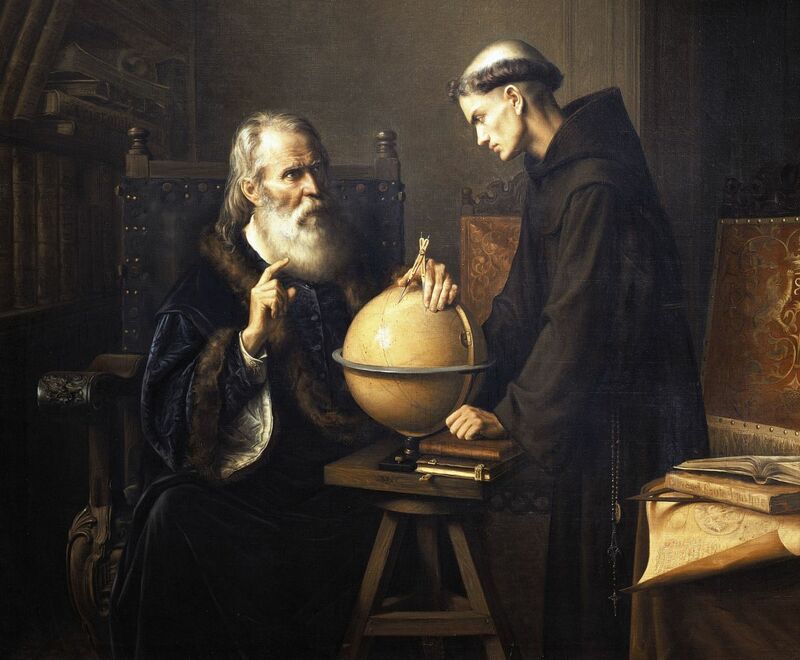 Physics is an area of science which deals with how matter and waves behave in the Universe. 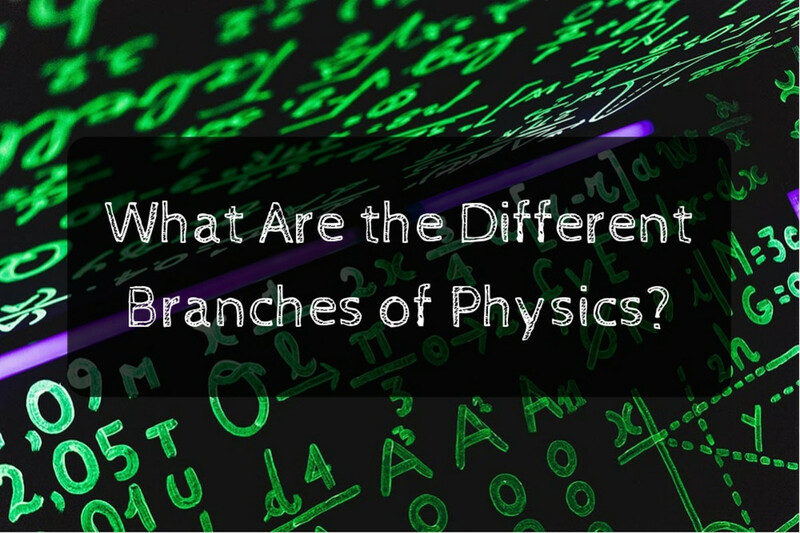 A branch of physics called mechanics deals with forces, matter, energy, work done and motion. A further sub-branch known as kinematics deals with motion and ballistics is specifically concerned with the motion of projectiles launched into the air, water or space. Solving ballistic problems involves using Newton's equations of motion. 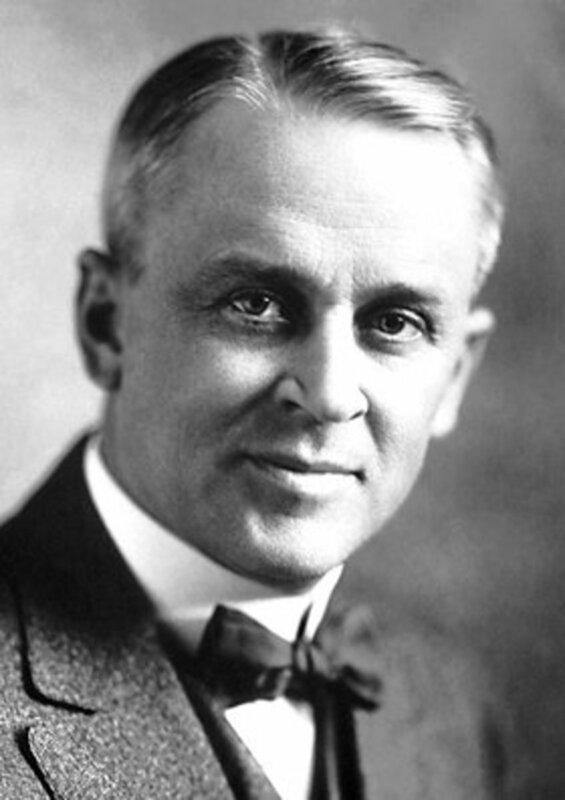 In these examples, for the sake of simplicity, the effects of air friction known as drag have been excluded. Consider a body of mass m, acted on by a force F for time t. This produces an acceleration which we will designate with the letter a. 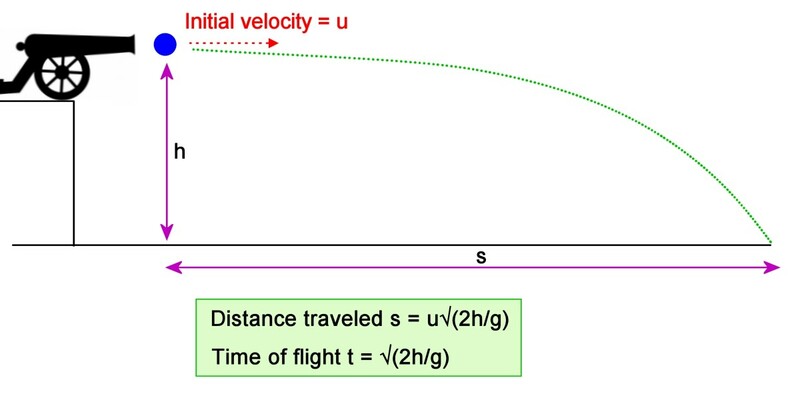 The body has an initial velocity u, and after time t, it reaches a velocity v. It also travels a distance s.
High school and college exam questions in ballistics usually involve calculating time of flight, distance traveled and altitude attained. In example 3 and 4, breaking the motion down into its horizontal and vertical components allows us to find the required solutions. 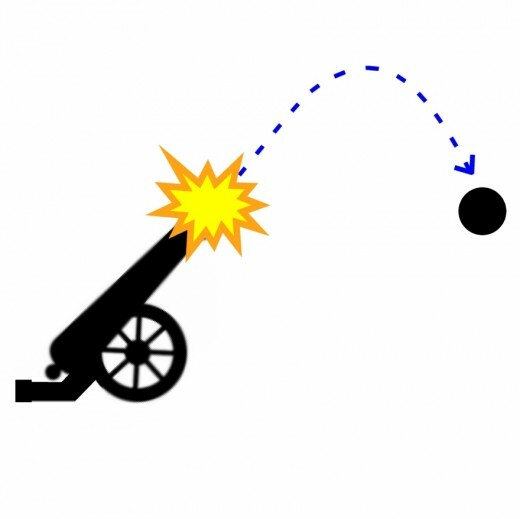 Unlike guided missiles, which follow a path which is variable and controlled by pure electronics or more sophisticated computer control systems, a ballistic body such as a shell, cannon ball, particle or stone thrown into the air follows a parabolic trajectory after it is launched. The launching device (gun, hand, sports equipment etc.) gives the body an acceleration and it leaves the device with an initial velocity. The examples below ignore the effects of air drag which reduce the range and altitude attained by the body. 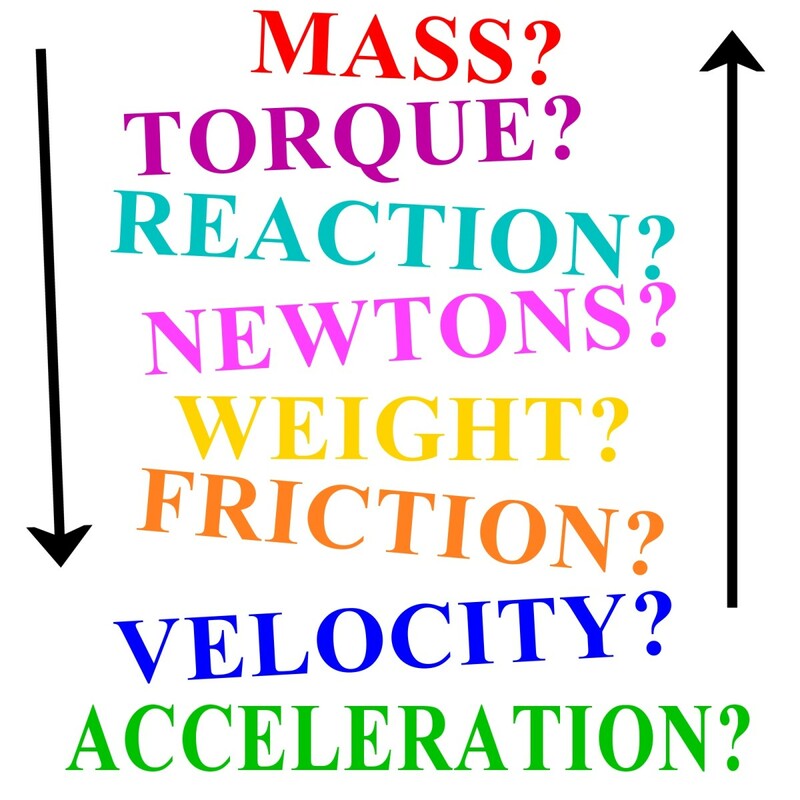 In this case the falling body starts off at rest and reaches a final velocity v. The acceleration in all these problems is a = g (the acceleration due to gravity). Remember though that the sign of g is important as we will see later. 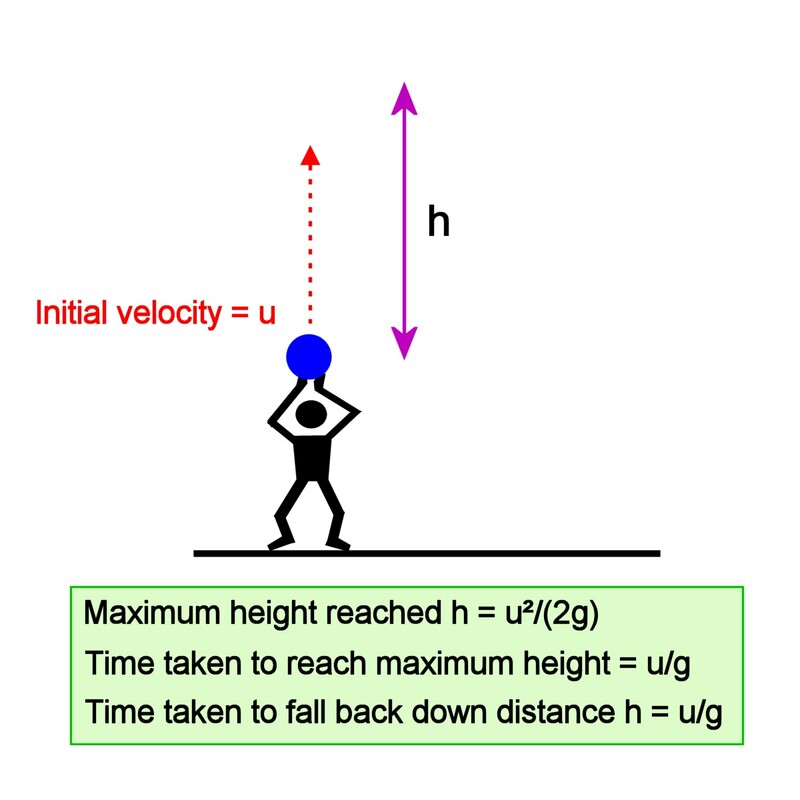 In this scenario, the body is vertically projected upwards at 90 degrees to the ground with an initial velocity u. The final velocity v is 0 at the point where the object reaches maximum altitude and becomes stationary before falling back to Earth. 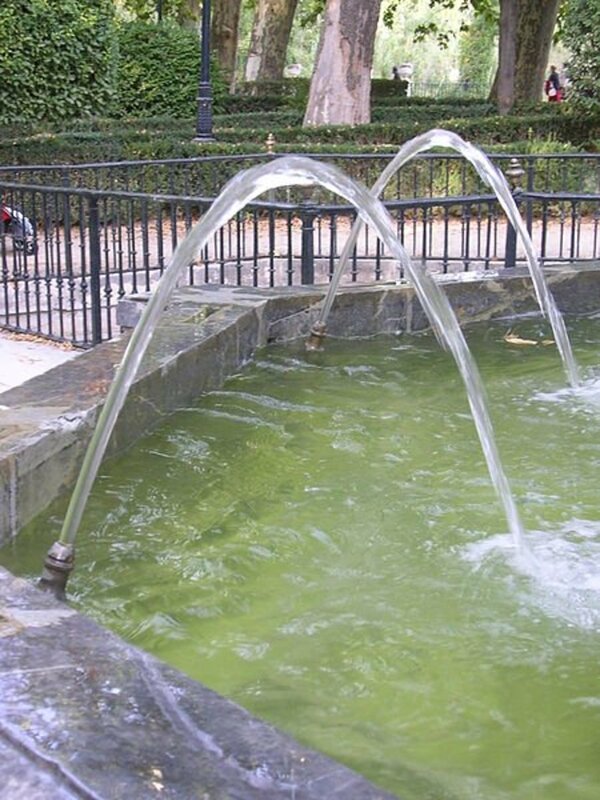 The acceleration in this case is a = -g as gravity slows down the body during its upwards motion. This is also u/g. You can calculate it knowing the altitude attained as worked out below and knowing that the initial velocity is zero. Hint: use example 1 above! 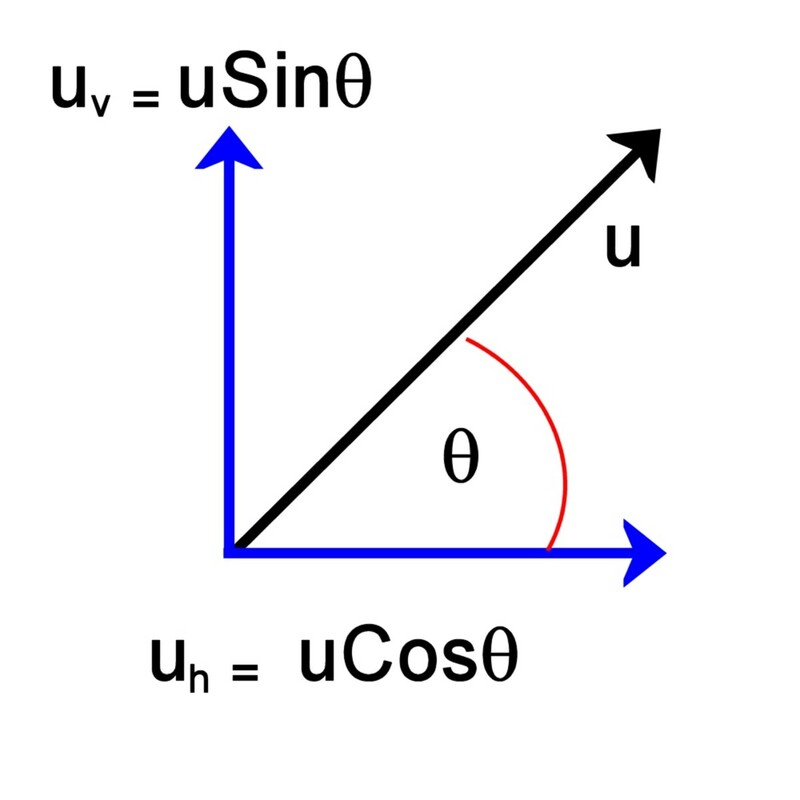 In this example, a projectile is thrown at an angle Θ to the ground with an initial velocity u. 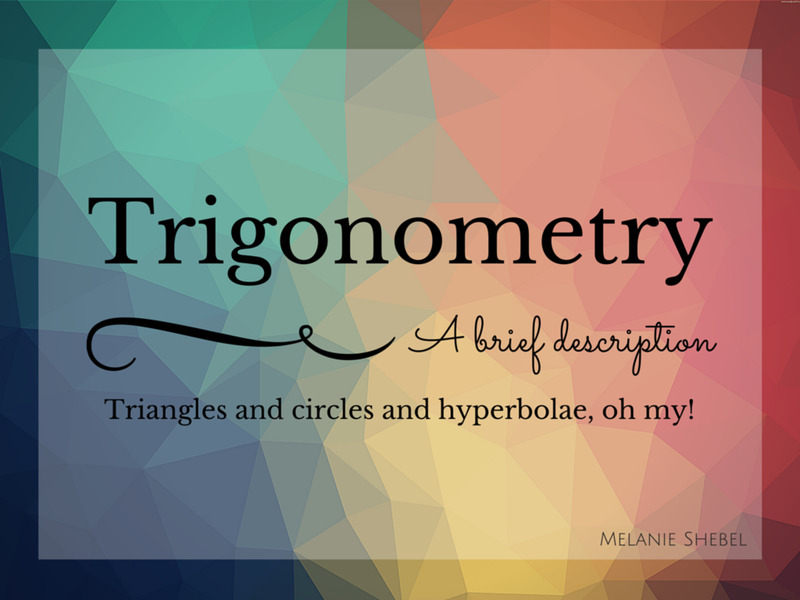 This problem is the most complex, but using basic trigonometry, we can resolve the velocity vector into vertical and horizontal components. 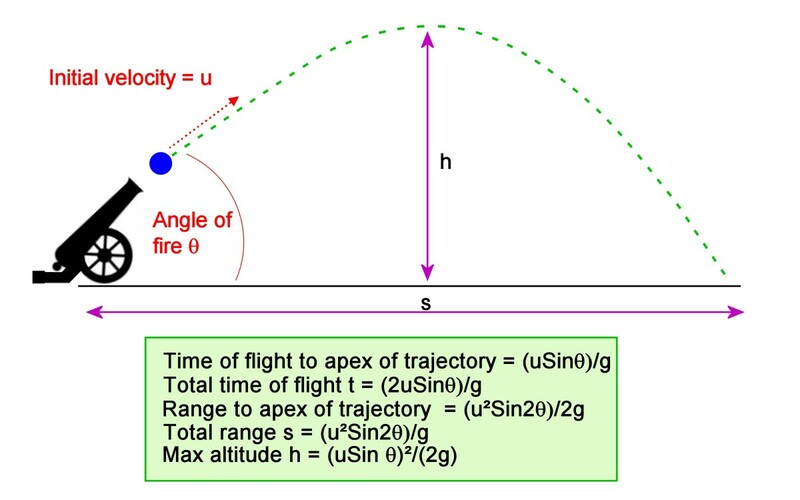 Time of flight and vertical distance traveled to the apex of the trajectory can then be calculated using the method in example 2 (object thrown upwards). Once we have the time of flight, this allows us to calculate the horizontal distance traveled during this period. What is the Optimum Angle to Launch a Projectile? The optimum angle to launch a projectile is the angle which gives maximum horizontal range. Using basic calculus, we can differentiate the function for horizontal range wrt Θ and set it to zero allowing us to find the peak of the curve (of the graph of range versus launch angle, not the peak of the actual trajectory). Then find the angle Θ which satisfies the equation. 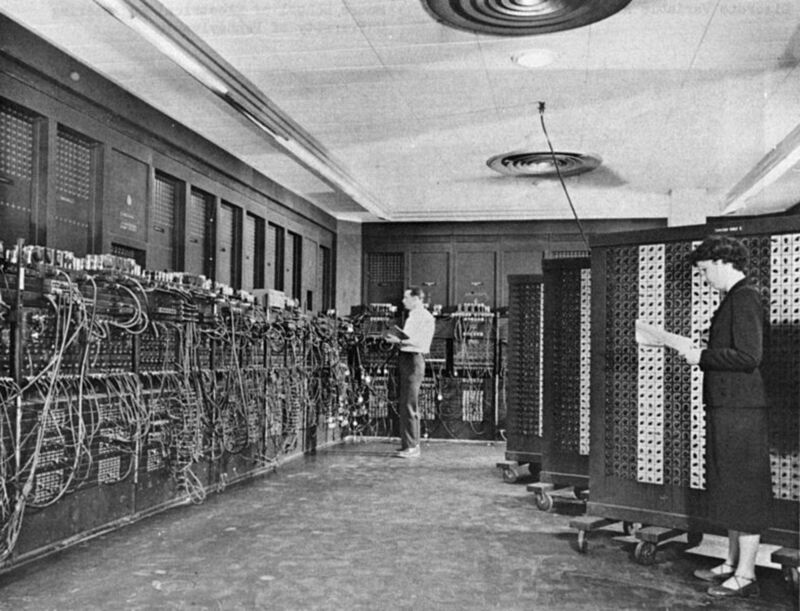 ENIAC (Electronic Numerical Integrator And Computer) was one of the first general purpose computers designed and built during WW2 and completed in 1946. It was funded by the U.S. Army and the incentive for its design was to enable the calculation of ballistic tables for artillery shells, taking into account the effects of drag, wind and other factors influencing projectiles in flight. ENIAC, unlike the computers of today was a colossal machine, weighing 30 tons, consuming 150 kilowatt of power and taking up 1800 square feet of floor space. At the time it was proclaimed in the media as "a human brain". Before the days of transistors, integrated circuits and micropressors, vacuum tubes (also known as "valves"), were used in electronics and performed the same function as a transistor. i.e they could be used as a switch or amplifier. 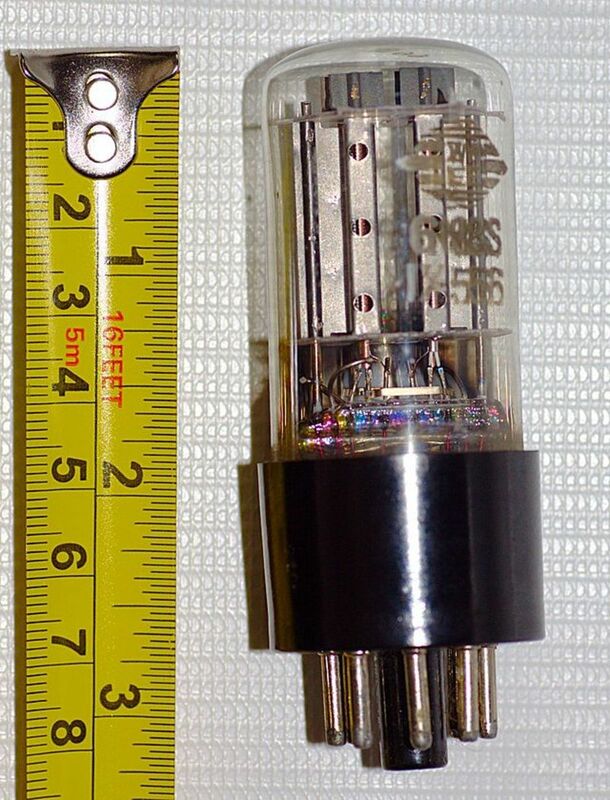 Vacuum tubes were devices which looked like small light bulbs with internal filaments which had to be heated up with an electrical current. Each valve used a few of watts of power, and since ENIAC had over 17,000 tubes, this resulted in huge power consumption. Also tubes burnt out regularly and had to be replaced. 2 tubes were required to store 1 bit of information using a circuit element called a "flip-flop" so you can appreciate that the memory capacity of ENIAC was nowhere near what we have in computers today. ENIAC had to be programmed by setting switches and plugging in cables and this could take weeks. A groundbreaking and comprehensive reference with over 500,000 copies sold since it first debuted in 1970, the new seventh edition of Engineering Mathematics has been thoroughly revised and expanded. An interactive Personal Tutor CD-ROM is included with every book. Providing a broad mathematical survey, this innovative volume covers a full range of topics from the very basic to the advanced. I highly recommend this book as it's like having a personal tutor who guides you through the solution of problems as it progresses through the text and explains everything clearly. An object is projected from velocity u=30 m/s making an angle of 60°. 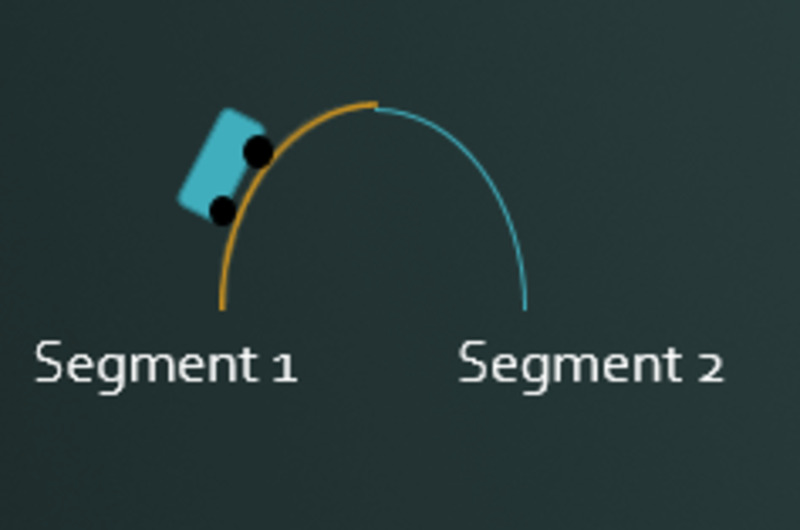 How do I find height, range and flight time of object if g=10? Plug the numbers above into the equations to get the results. If I am to find how high an object rises, should I use the 2nd or 3rd equation of motion? 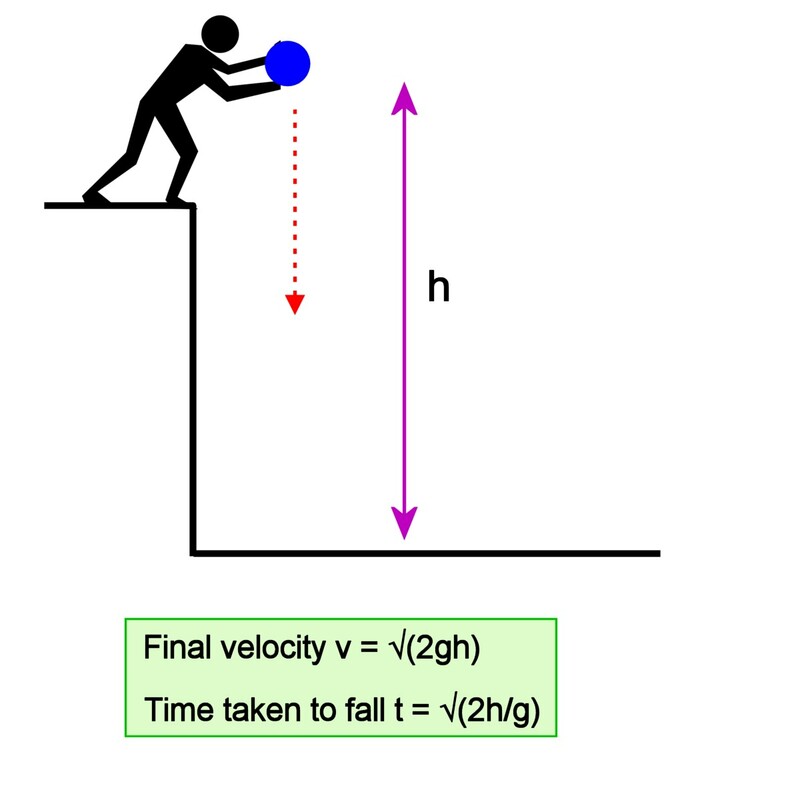 You know the initial velocity u, and also velocity is zero when the object reaches max height just before it starts to fall again. The acceleration a is -g. The minus sign is because it acts in the opposite direction to the initial velocity U, which is positive in the upwards direction. An object is fired from the ground at 100 meters per seconds at an angle of 30 degrees with the horizontal how high is the object at this point? If you mean the maximum altitude attained, use the formula (uSin Θ)²/(2g)) to work out the answer. 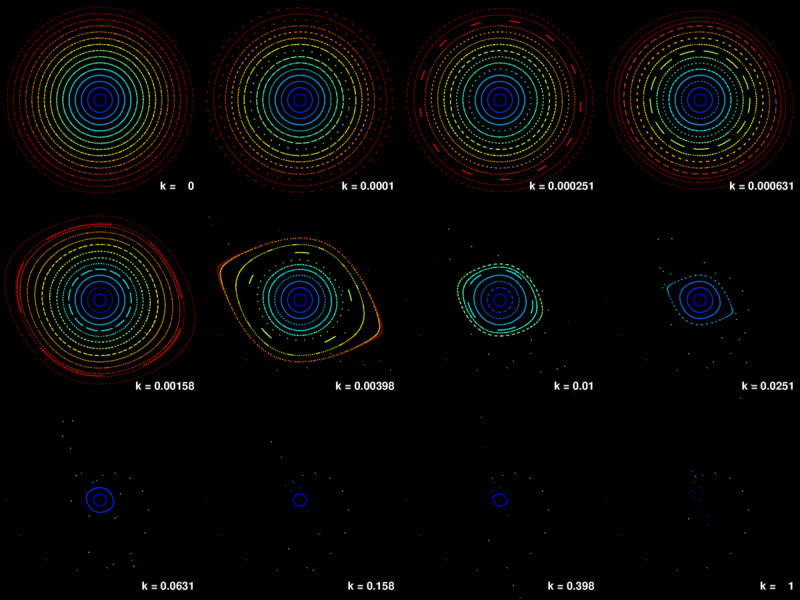 What Are Phase Portaits and Phase Space in Chaos Theory?